Puff pastry is a remarkable product. 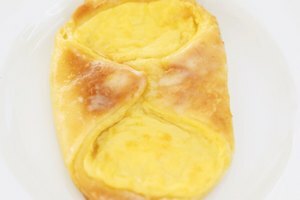 Light and crisp, it is flaky pastry that can rise to several times its original thickness when baked. This dramatic degree of lift is created by folding butter and dough together in a laborious process, resulting in more than a thousand layers of pastry compressed into one-eighth of an inch. 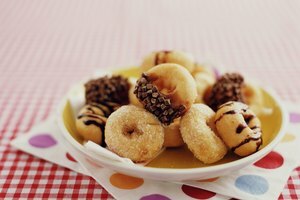 When made and baked correctly, it is peerless. But there are many opportunities for error in the process. The meticulous process of rolling and folding puff pastry is what delivers its dramatic rise. Puff begins with a very basic wheat dough, which is chilled until relatively stiff. The pastry chef wraps it around a flat slab of butter and rolls the dough into a thin sheet with butter at the core. After the sheet is folded and rolled the requisite number of times, it is baked. The oil in the butter makes the layers of dough resistant to water. The steam generated by the heat of baking is trapped between the layers, creating separation and lift. When you first enclose your butter inside the dough, it's important both items be approximately the same temperature. If you let the butter get too soft, it won't form proper layers. When you're rolling out the dough, always move your pin from the center to the edge. Don't roll past the edge or you'll compress layers and they won't rise properly. Pressing down too hard on your rolling pin also will compress the layers. Whenever you fold the dough, be sure the edges are squared neatly and don't overhang each other. Errors at this stage will keep your pastry from rising properly. Assuming you've made and rolled your puff pastry without any major errors, cutting is the next step when things can go wrong. 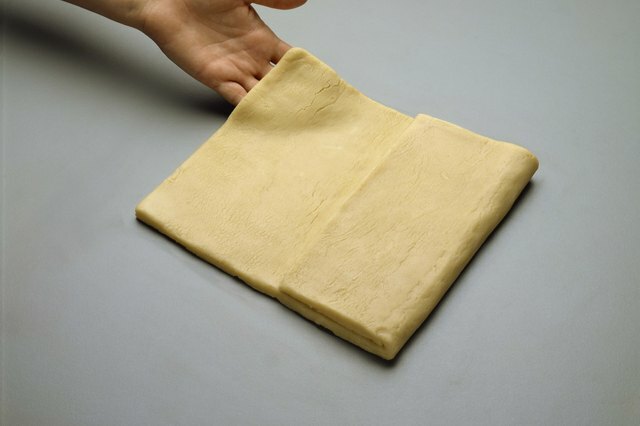 The crucial part is to cut the dough cleanly without pressing the layers together; otherwise, you will create a pillow effect, with the edges of your pastry stuck together and the middle puffing as it should. Use a sharp knife or fine-edged cutter rather than dull cookie cutters or an inverted water glass. A clean cut means neatly sheared layers of light and flaky dough that will rise evenly. If all has gone well to this point, the final hurdle is baking. The rolled pastry should be approximately 1/4- to 1/3-inch thick for most purposes. If it's thinner, it won't puff adequately; if it's thicker, it will remain doughy. 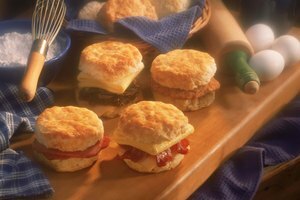 Puff pastry must be baked in a hot oven, usually 400 degrees, to create the steam causing it to rise. If some pieces puff and others don't, your oven probably has hot and cold spots and you'll need to rotate the pans to ensure even baking.